The spirits of error deceiving many people. There are three versions about Maitreya; one has to do with the dissident Buddhist that says that he is a new Buddha or a Buddha of the Third Millennium. Another is the esoteric and dark that says that Maitreya is the Antichrist who is embodied and living in the East. The third version, which is the more widespread, says that he is channeled by Benjamin Creme. 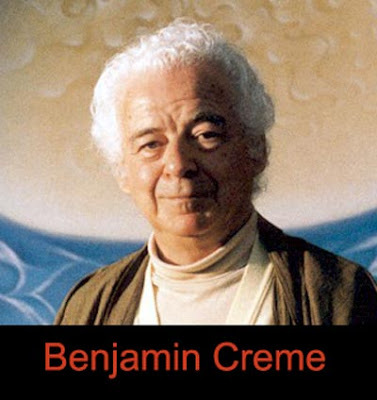 Benjamin Creme as a medium has written several books spreading the alleged messages of Maitreya. And I say "alleged" because Benjamin Creme has only channeled the spirits of error who have manipulated him cunningly. In addition, he says that he is already incarnated and living in London and that he even worked at a hotel as a bellboy to show his humility... humility that is doubtful since Creme says that Maitreya is after God and all the other Ascended Masters are in a lower vibration. I will remark in red some nonsensical ideas written by this pseudo teacher. "He has been expected for generations by all of the major religions. Christians know him as the Christ, and expect his imminent return. Jews await him as the Messiah; Hindus look for the coming of Krishna; Buddhists expect him as Maitreya Buddha; and Muslims anticipate the Imam Mahdi or Messiah. First of all The Christ is the current dimensional Logos – The Christ is a Divine Energy of the plane 7 and Divine Energies don't embody. This means that The Christ never embodied and it will never embody. The name of the Christ is not Maitreya but "Om Mani Padme Hum"
On the other hand he who embodied two thousand years ago and who was crucified was Jesus a spirit who in that time was in the plane 4 (a spiritual Mastery grade) When Jesus disembodied and succeeded in his mission, He ascended to the plane 5 and he was named Solar Logos. Ovbiously, that in any case they are waiting to the Master Jesus, not the Christ. But the truth is that Jesus will not return either, because he never left and even though he is in the plane 5, he continues being with us and communicating with the causal bodies of the whole humanity. The fact that his messages are distorted by channelers or the spirits of error pretend they are his messengers or the Master Jesus himself it’s another issue. Secondly, Jesus said that “each one will emerge by his own effort” without any mediator and according to the Service that one gives to his fellow men. The Master would contradict himself if he said that salvation would depend on his return. A similar fantasy of the coming of a savior is the belief that extraterrestrials will come to save us. Please! If we want to be saved, we really have to start serving our fellow men. A channeler like Benjamin Creme who is transmitting a message so distorted can never be helped by Entities of Light, but simply by entities of error. Even if Benjamin Crème insisted that he channeled to Spirits of Light, the result would be the same, because then he distorted the messages completely! Many people have asked me to relate something of the steps which have led me into the work I am now doing. It will not be a complete account: there are unwritten laws of reticence on some aspects of the Master-disciple relationship, and I am pledged to silence on certain work for and with the Space." Only the spirits of error can suggest something like that. When something is hidden, it’s to simply create a mystery, and mystery is the best way that exists to manipulate. Besides he who allegedly has a secret that the others ignore has to feel himself "special", and this is nothing more than limitless ego. If somebody doubt of the power of “secrets" to manipulate just to remember the Knights Templars and the Freemasons and their “Great Secret" which is that there is no secret! The Great Pyramid at Giza is really an Atlantean instrument, based on the power of shape. The aim of Atlantean man was to perfect the astral-emotional vehicle, or body. Just by being the shape it is, the pyramid, when aligned with the north and south poles, draws energy from the etheric and astral planes. This was transmitted for the benefit of the population of the great city which lies buried beneath the sands around the Pyramid and the Sphinx. This is nonsense from Benjamin Creme influenced by the spirits of error. The Pyramids were enormous teleporting machines built by extraterrestrials from Orion 3 to travel to other worlds. Besides, the pyramid had nothing to do with Atlantis, which was an island that toppled because of a wrong scientific experiment back then. Beneath the Pyramids there is nothing, except sand. And the etheric planes don’t exist and this has been already scientifically proven. This is another example of the way the spirits of error work: they produce physical phenomena, something that they achieve making “focus” easily, concentrating the energy on a point. The Masters of Light don't even try to convince their followers with these phenomena, because they know very well that the one who is in time doesn't need proofs, and if somebody needs proofs, he is not worthwhile, because he will not have proof enough. Needless to say that the spirits of error are those who produce the Marian apparitions, and those who make cry religious images or make them bleed from the wounds in the statues that represent Jesus crucified, etc. “Other miraculous phenomena are happening in the world are literally. Muslims discovered the word 'Allah' inside fruits and vegetables, in fish, and in eggs and beans. A Lebanese girl has baffled doctors by producing tiny crystals from her eyes. For several months in 1996, 12-year-old Hasnah Mohamed Meselmani produced tiny crystals. Although the crystals were as sharp as cut glass, Hasnah said she feels no pain Other miracles have accompanied these manifestations. Columnist Christine Dayrit reported on one particular miracle ― sacred images appearing on rose petals. In December 1995, Julian Webb, an Australian wheat-farmer, witnessed the miraculous materialization of Christ’s face on a hard slab of granite rock.. On Thursday 21 September 1995 the news swept around the world of the extraordinary miracles of milk-drinking Hindu statues. Never before in history has a simultaneous miracle occurred on such a global scale. Television, radio and newspapers eagerly covered this unique phenomenon. Many other miraculous signs have appeared in Buddhist communities, Jews, and native American A statue of Our Lady of Lourdes in a Carmelite sisters’ convent in Diego Martin, west Trinidad, is weeping tears of blood. According to the local press, the tears first appeared on 15 February 1996. Could someone rational believe that Entities of Light can provoke this nonsense? Could any rational being believe that the Masters of Light would use magic tricks to convince the whole world about a message? "A young Italian man, Giorgio Bongiovanni, says that in 1989 he had many miraculous contacts with the Virgin Mary and, since that time, with Jesus. Both Mary and Jesus have given him information regarding the secrets of Fatima, as well as the Second Coming of Christ, contact with UFOs, and other topics. In addition, Bongiovanni daily experiences stigmata — unexplained bleeding from his hands, feet, forehead, and chest, mirroring the wounds on the crucified body of Jesus. This phenomenon is exposed by Benjamin Creme as a manifestation of phenomena that would announce the arrival of "Maitreya", but the truth is that, behind of Giorgio Bongiovanni are the spirits of error. Stigmata is a psychogenic–engramic illness that has nothing to do with the spiritual and when the engrams that provoke the stigmata are eliminated the stigmata disappears definitely. Besides, through hypnosis it is very easy to eproduce these manifestations. According to Benjamin He will appear first in America in such a way that He can speak to millions of people. Then in Japan. Which country do you think has the largest and most influential media network in the world? If He appears on a major network in America He can be heard immediately by millions of people not only in the US but, through the internet, all over the world. The events leading to the gradual emergence of Maitreya and to the Day of his Declaration. This will be an extraordinary 'Pentecostal' experience for humanity, and the start of the gradual transformation of all our structures and institutions. Maitreya is omniscient and omnipresent, and will create during this time a telepathic rapport with every adult in the world. Everyone will hear Maitreya’s thoughts, His ideas, His hopes, His plans for the future, telepathically, inwardly in their own language. The Japanese will hear Him in Japanese, the French in French, the Germans in German, the Chinese in Chinese, and so on. He will tell humanity about itself, about how old we are, how long we have been evolving to this relative point (not so high as we think). He will show what lies ahead, the science of the future. This is nonsense, because telepathy doesn't exist in the physical plane, since it is an ability that only the spirits have to communicate in the spiritual plane. In any case it’s more believable if he said that he would speak through satellite networks of the world. To accomplish these monumental tasks, Maitreya is well equipped. His physical body is self-created and is unique in that it can withstand the lowest vibrations of the everyday world, while simultaneously being receptive to the highest spiritual energies. He is able to appear and disappear at will, to be physically present, instantly, anywhere in the world, and even to be in several locations at once. Maitreya can change his physical appearance at will. His actual physical appearance is of no particular race or nationality, but has some resemblance to all. These considerations are maybe the biggest nonsense, because nobody can trespass the laws of the physical plane that were enacted by the Absolute [Eon], this is something that not even the Absolute can do, because he created these laws and then he respects his owns laws. All the things and all the living beings are subjected to the same laws and there is no privilege for anybody. The anti-christ does exist, not as an individual who comes before the Christ, but as an energy. Fundamentally, the anti-christ is the First, or Will aspect of God, in its destructive form. It is that energy which destroys thus making way for the new energies of the Christ. The anti-christ energy sweeps away the old, outworn forms and prepares the way for the incoming, creative energy. This assertion is completely false, because in the spiritual world the Anti-christ doesn't exist. The Christ is not a spirit but a Divine Energy, the same as Buddha. Negative Energies don't exist. The negative thing are the spirits of error and the "demons" that are angels that have come in mission to make the man evolve by tempting him and their memories have been deleted to avoid their suffering. The Antichrist is nothing more than a character of fiction, a figment of the imagination of some authors and Benjamin Creme has reinvented him attributing him calamities, even those that are direct responsibility by the man because of his ego. Sai Baba is a teacher or guru in south India with an enormous following. Hundreds of thousands, perhaps one or two million people from all over the world would claim to be his devotees. These Followers see him as God, the creator of the universe. He is a cosmic avatar. Sai Baba and Maitreya both embody the same energy--what we call the Christ principle, the energy of Love --- Sai Baba at the cosmic level, Maitreya at the planetary level... Sai Baba is a cosmic avatar. He is a Spiritual Regent, sent into the world by the Lord of the World, Sanat Kumara, on Shamballa." This statement is also false, because Sai Baba is a spirit of error of the plane 3 and he even makes cheap tricks to deceive his faithful followers. Sai Baba is one of the biggest frauds in religion. Besides, he has several trials for corruption of children, and the same children who were abused by him informed about it. On the other hand, Shambhala was a city that existed around five or six thousand years ago in the physical plane and it was located in Nepal. Later on it disappeared, like Lemuria and Atlantis. Shamballa was inhabited by many Spirits of Light that had embodied in that time and they used extraterrestrial technology; they had an energy field covering the city. The aliens the inhabitants contact with were from Orion 3, the same aliens that built the pyramids of Egypt and the famous Face of Mars. It’s not necessary to continue so that anyone could realize that those who are behind Benjamin Creme are the spirits of error, and the best way to prove it are his own writings the falsehoods mixed with some historical events and also esoteric truths. The best way to hoodwink! This entry was posted at Sunday, November 22, 2009 and is filed under Who are they? . You can follow any responses to this entry through the .